Having Yeo Woo Jin as a lead made me remember about Ordinary Love, where I first encounter Woo Jin's appearance. Somehow, episodes 14-15 of Introverted Boss was similar to entire story of Ordinary Love. Falling in love with someone you can't be together due to family issues..
Quite same plot, but the action is different. Maybe because I'll Die Soon is about a middle-aged man that want to live every day like is the last one, while My Friend Is Still Alive is about a high school kid that wants to die without regrets. I'm not suggesting these two because they're similar. Not at all. The plot is completely different. But it gives you the same vibe. What I find it similar is that the main actress is a single mom with one kid. They are both funny and worth watching. When I watched Go Ho's Starry Night, I thought there are some similarities with Her Lovely Heels. But I think if you're into stories that involve a love triangle between a woman, her new guy and her ex-boyfriend I think you should watch Discovery of Romance and Go Ho's Starry Night. Two movies that involve children without parents, abused and used. In both movies there is a person that tries to protect them. These two both reminded me of Resident Evil. They're pretty similar and though Train to Busan is pretty popular, I suggest you to watch Live Shock too. these 2 dramas have some similarities. 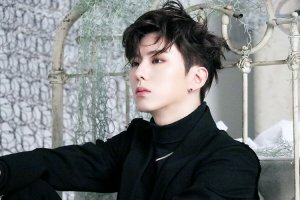 the villain is a spoiled chaebol's son who's the president of a big company. they have issues with anger management and no matter how much evidence the cops have against them, they come clear due to their connections. Young kids trying to solve odd cases. You get the same vibes watching them both. 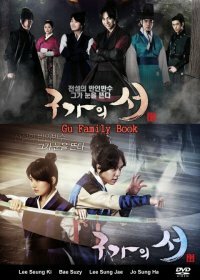 Two dramas with two different plots. But still, there are some similiarities like: both are about brothers who don't get along, past wounds and both are 4 episodes long.